Seen in Lyon, yesterday. 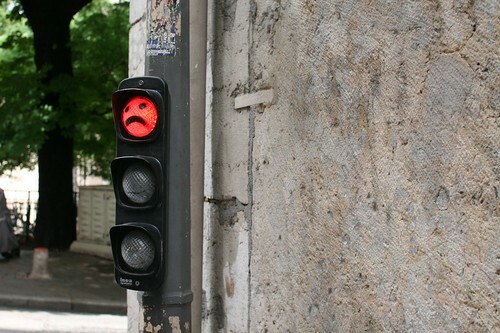 The smiley affordance again... on a traffic light this time. Anthropomorphism with symbols and colors. Bill Buxton on "The better we do, the bigger the problem we make"